Born: November 28, 1946, in Vicenza, Italy. Education: Bocconi University, BA, 1969; Columbia University, MBA, 1972. Family: Married (wife's name unknown). Address: Enel, Viale Regina Margherita 137, 00198 Rome, Italy; http://www.enel.it. ■ In 2002 the Italian businessman Paolo Scaroni took over at the large energy company Enel. The government had been looking for someone to rescue the failing state-owned company in order to prepare it for privatization; Italian authorities tapped Scaroni because he had previously transformed the declining British glassmaker Pilkington, in the process establishing a reputation as a manager capable of turning around companies in difficult financial situations. Scaroni spoke five languages and worked throughout Europe and the Western Hemisphere. He employed a management style that demanded success from managers in providing them with the proper organization and motivation. business administration; when he graduated from Columbia in 1972, he found a job with the French glassmaker Saint Gobain. Scaroni worked in a variety of positions for Saint Gobain from 1973 until 1984, then left the company to work for the industrial firm Technit from 1985 to 1996 as executive vice president. In November 1996 Scaroni joined the British glassmaker Pilkington as the president of Automotive Products worldwide. Pilkington had brought him in to help meet the demands of automakers who wanted to globalize and streamline their purchasing of component parts such as glass. Pilkington, founded in 1826, supplied some 20 percent of the glass found on automobiles around the world. It had established its reputation in 1959 when an engineer at the company invented the float-glass process, which led to short-term success and profits but long-term complacency and decline. Scaroni told the Financial Times , "In spite of inventing the float-glass process, developing other good technologies, and being a world player, Pilkington has underperformed the competition for the past 20 years" (March 14, 2000). Scaroni did not stay in his initial Pilkington post for long. In 1997 the company was looking for a new leader to halt financial decline; Scaroni was promoted to CEO. His goal at the head of Pilkington would be to transform the company into a more efficient glassmaker and revitalize worldwide operations. He took a number of steps to accomplish these goals, placing an initial focus on cutting costs. He remarked in the Financial Times , "Pilkington had too many people, too many plants, and excessively high overheads. It lived on royalties from the float-glass process, not from selling glass. When the royalties stopped, the company was close to going bust" (March 14, 2000). Pilkington soon closed numerous glass factories around the world. Scaroni then further reduced the company's remaining workforce, as too many employees occupied each plant to allow for efficient operations; where Pilkington employed an average of 250 to 260 people per factory, the company's competitors utilized half that number. Scaroni also sought to make the company's management more efficient, explaining to the Financial Times , "We will be clarifying our management structure and reducing the overheads, which are killing us" (June 6, 1997). He particularly hoped to get the most out of his managers through enhanced organization and motivation, additionally commenting, "We should be able to have normal managers doing exceptional things. You can give them exceptional tasks, provided you organize them and you motivate them" (June 6, 1997). Scaroni's term at Pilkington was a success. By 2000 the company could boast that profits had risen by 23 percent over the previous year. He eliminated excess bureaucracy and demanded that the least efficient factories match the performances of the most efficient. In 2002 the company chairman Sir Nigel Rudd told the Financial Times , "In the five years that Paolo's been here, we've completely changed the business" (May 15, 2002). One analyst added, "Pilkington was an oldfashioned, inefficient UK manufacturing company which would have gone into the ground. Paolo saved it" (May 15, 2002). 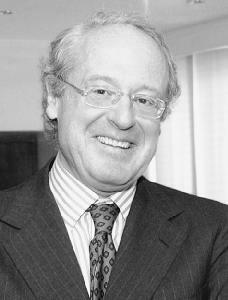 In May 2002 Scaroni resigned from Pilkington and returned home to Italy to take the position of CEO at the energy company Enel. The Italian government had picked Scaroni in the hopes that he could rescue Enel as he had done with Pilkington. Enel was in poor financial shape due largely to an unsuccessful attempt to diversify into the telecommunications market, which move ended up draining more than $1 billion annually. Enel was still 68 percent state-owned when Scaroni took over, and the government hoped that Scaroni could restore the company's financial health in order for it to be fully privatized. Scaroni announced that he would apply his "Pilkington recipe" at Enel, emphasizing lower costs, higher efficiency, and better quality. He stated that he would try to extricate Enel from the telecommunications market as soon as possible and refocus the company on its core electricity and gas sectors. As he had done with Pilkington, he would have to cut jobs. Analysts predicted that Scaroni would be obligated to eliminate up to 40 percent of the workforce; in the context of an Italian state-run firm, such cuts would not prove easy due to the farreaching influence of politicians and union leaders. The energy analyst Neil Bradshaw told BusinessWeek , "Scaroni's biggest challenge is cutting costs aggressively and massively improving efficiency. I'm not sure whether he has free rein to do that" (September 23, 2002). See also entry on Pilkington plc in International Directory of Company Histories . Batchelor, Charles, "Pilkington Hopes to Look through Glass More Brightly," Financial Times , March 14, 2000. Betts, Paul, "Unleashing the Power of Experience," Financial Times , October 3, 2002. Edmondson, Gail, "The Biggest Test for Italy's Mr. Fix-It," BusinessWeek , September 23, 2002. Harney, Alexandra, "Stones Rain in on Pilkington's Glass House," Financial Times , May 15, 2002. Simonian, Haig, "No-Nonsense Scaroni Takes Pilkington Helm," Financial Times , June 12, 1997. Skapinker, Michael, "A Clear-Cut Vision of How to Make Profits," Financial Times , July 19, 2001. Tieman, Ross, "Scaroni Rises at Pilkington," Financial Times , October 29, 1996. ——, "Singing Sweet Music to Analysts and Shareholders," Financial Times , June 6, 1997.